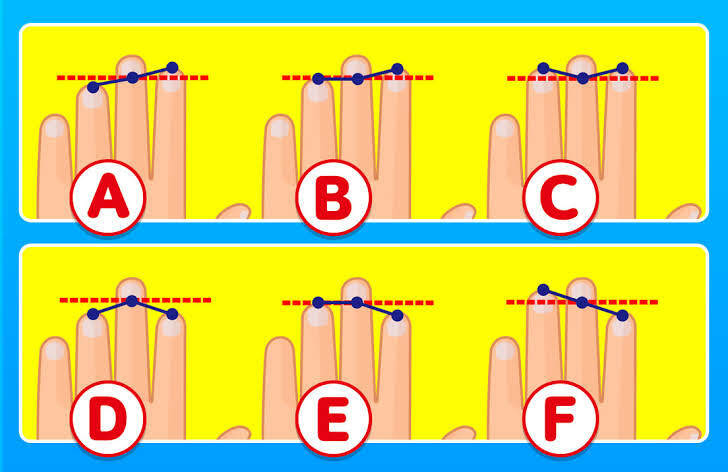 Wisdom Science: Choose Your Hand Shape! The Most Accurate Personality Test! 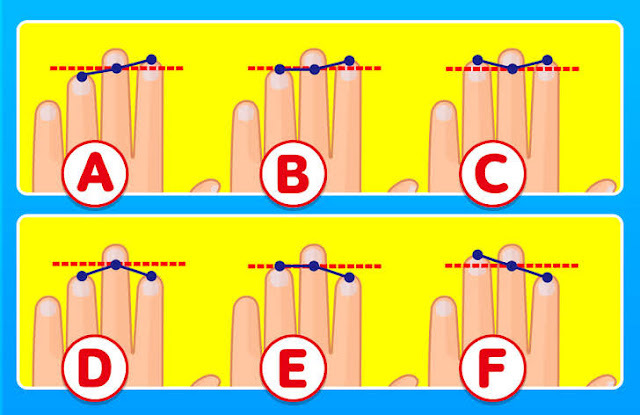 Choose Your Hand Shape! The Most Accurate Personality Test! On the outside, you are... Efficient, logical, calculative, and inflexible. You prefer stability over spontaneity because you like to be in control of what goes on around you. stressed because you know you cannot help them in that moment. On the outside, you are... Generous, sympathetic, selfless, and loving. You definitely find more value in giving than receiving. You are always watching for others before yourself. But on the inside, you are...Too obsessed with the welfare of others. You sometimes neglect your own well-being, and you suffer both physically and mentally at times. When it comes to dating...When you're in love, you want to share it with the world. You are the first person to post your new relationship status on Facebook. However you approach romantic relationship in a very mature manner, and your significant other respects you for that. You tend to date people who have been hurt in the past because you are good at helping them forget their pain and enjoy life as beautiful as it is. On the outside, you are.. Loyal, confident, persuasive, and charming. You are good with your words and are an expert at getting people to agree with you. But on the inside, you are... Either too motivated or unmotivated depending on the situation. You tend to be too focused on whether taking a certain action would be beneficial to you. This causes people to think you are cold. When it comes to dating... You are able to grab the attention of the opposite gender thanks to your persuasion skills. Once in a relationship, you may feel unsure of how to keep things interesting. What you have to do at this point is to show them your true self. Talk about your personal thoughts and feelings, and your significant other will start opening up to you as well. On the outside, you are... Observant, intelligent, imaginative, and analytical. You are whimsical and creative, so you have lots of great ideas, and on top of that, you know how to bring them together so that you can create and complete different projects with success! But on the inside, you are... Obsessed with problem-solving. If you can't make something go your way, you become immensely stressed. You are also afraid of letting others down with your possible failures. But you don't need to worry. Take a deep breath and figure it out one-by-one. When it comes to dating... Even if you find someone who seems to be reciprocating your feelings, you don't know how to act from there. You become awkward and sometimes even make the other person feel uncomfortable and lose interest. This is because you are afraid that you cannot control your own emotions, and this lack of self-control scares you. However, you should muster up the courage to go ask them out already, because chances are, that person is just as nervous as you. On the outside, you are... Creative, intelligent, unique, and charming. People love you because you are a social butterfly. But on the inside, you are... Unstable and fragile. You are very well aware of this, so you avoid risk and stick with what you know. You also have high standards in many aspects of life, so you become easily disappointed. When it comes to dating... You have accumulated much hurt and emotional pain from the past. This is why you sometimes lack the confidence and/or commitment in your relationships. However, you do still have high hopes for your future life partner and might even become obsessed with the idea of them. When you do find that person, you will be able to find happiness and peace of mind. But the important thing to remember is that you can find happiness on your own even without them. On the outside, you are... Passionate, curious, impatient, and adventurous! You put your all into whatever it is that you are working on. On the inside, you are... The same! You have almost no discrepancy between your outer and inner self. When it comes to dating... You are as free as a bird. You are open to the opinions of the people you date. You prefer to stay together of course, but if your significant other at the time wants to break up, you don't try to cling onto them; rather, you let them go, because that is what you would want them to do for you.